Auroville, also known as the ‘City of Dawn’, is an interesting city dedicated to sustainability, peace, and blissful consciousness. Inaugurated on 28th February 1968, Auroville is located 12 km from Puducherry and was built to be an ideal society. Your first steps in Auroville will take you into a universe where people live in complete harmony with one another regardless of caste, creed, colour, or nationality. 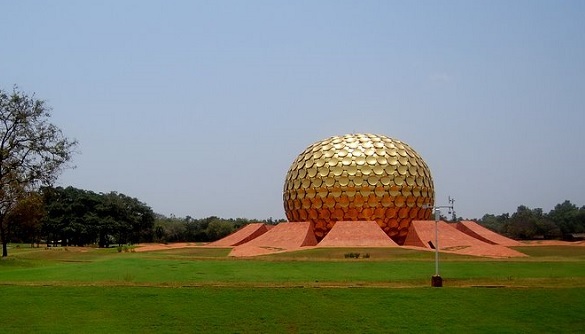 One of the most popular places to visit in Puducherry, Auroville can be reached via road, rail or air. The nearest international airport is Chennai. If you are travelling by rail, Chennai Central railway station has trains connecting all major Indian cities. Buses and taxis are also available to reach Auroville from Puducherry. • Matrimandir – A prominent landmark, Matrimandir is located in the heart of Auroville. Known as the ‘soul of the city’, it is a must-visit spot with your family. A visit requires prior booking and obtaining a visitor’s pass. This giant golden sphere is a meditation centre. Enjoy the peaceful atmosphere and beautiful gardens as you reflect on life. • Auroville Beach – An exciting place to visit in Puducherry with your family is Auroville beach. The soft sandy beach offers a tranquil atmosphere that is used by many local Aurovillians as a meditating spot. It is also a nesting ground for Olive Ridley sea turtles, so your children are bound to love their visit to the beach. • Auroville Bakery and Boulangerie – A popular eating joint in the area, Auroville bakery is famous for making everything on its menu out of local produce. Bread and cheesecake are the main attractions, which is also sourced from their very own Auro Farms. Enjoy a scrumptious meal as you sit in the lush green outdoor space with your family. • Auroville Botanical Garden – Sprawling over 50 acres of land, the botanical garden in Auroville is another very popular place to visit in Puducherry. Featuring an artificial tropical dry evergreen forest, the garden is designed with a luxurious landscape. Since conservation and preservation of the plant kingdom is the key mission of the botanical garden, you can spot over 5500 specimens. Your family will surely enjoy the serene nature of the garden by getting lost in the greenest part of Auroville. 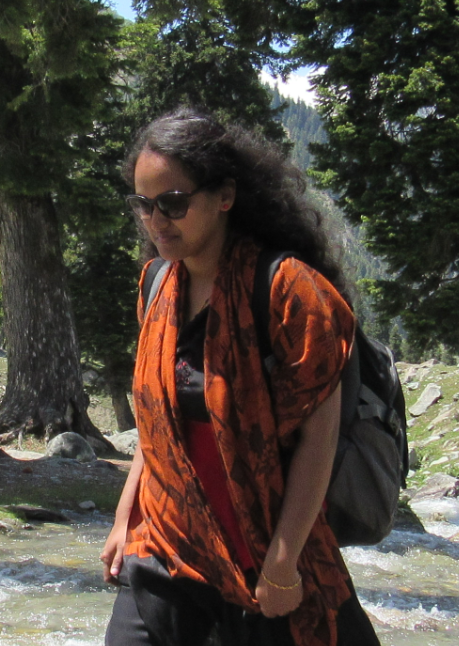 • Recreational Arts – Auroville offers plenty of fun things to do. You can learn, participate in, and experience various activities during your visit. Join in the fun with art and craft lessons, yoga/meditation classes, or simply enjoy a movie screening at Sadhana Forest with your family. Since the weather in Auroville is tropical, November to March is the best time to visit. There are plenty of resorts in Puducherry to stay in, but Club Mahindra’s resort in Puducherry, a lavish 24-acre sea-facing resort that combines aesthetics with comfort, is what you should look at. With breezy, plush rooms, RCI Silver Crown Resort offers all modern amenities to ensure a comfortable stay. The in-house restaurant serves local delicacies. Check out Club Mahindra reviews online by guests for more details. And include mystic Auroville in your next family vacation!